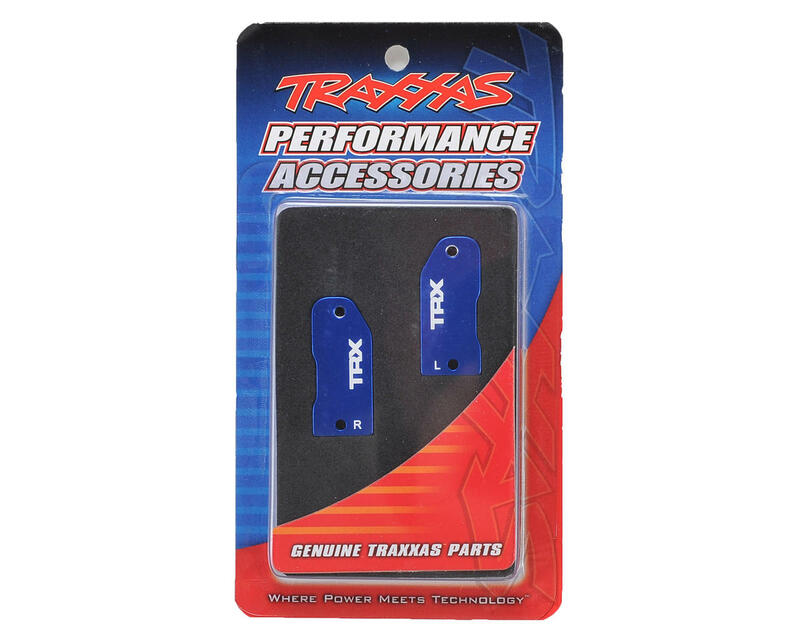 Traxxas aluminum caster blocks improve the appearance, ruggedness, and control on Rustler, Slash, and the Stampede. 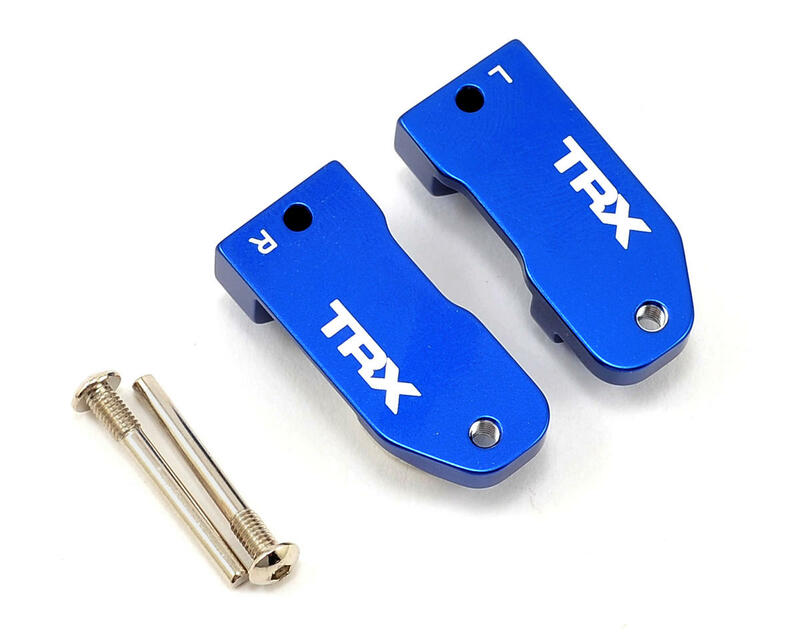 In addition to the strength and precision of the machined billet 6061-T6 aluminum, the red, green and blue anodized caster blocks feature a high-contrast laser etched TRX logo. Three anodizing color choices are available, fire-red, brilliant-blue and green. Simple bolt-on installation that anyone can perform inspires confidence for future upgrades. Traxxas RUSTLER owner, it's a must have believe me, i got a very hard hit on the front at high speed, and the plastic one broke in 2 pieces, very good quality, and very cool for design!! !